Lateefah Fleming is the owner, president and Chief Motivating Officer of empowerFit Wellness, a yoga, dance and whole-body experience dedicated to empowering people and building communities locally and globally by combining the grounding, strength and flexibility of yoga with the freedom and movement of dance. 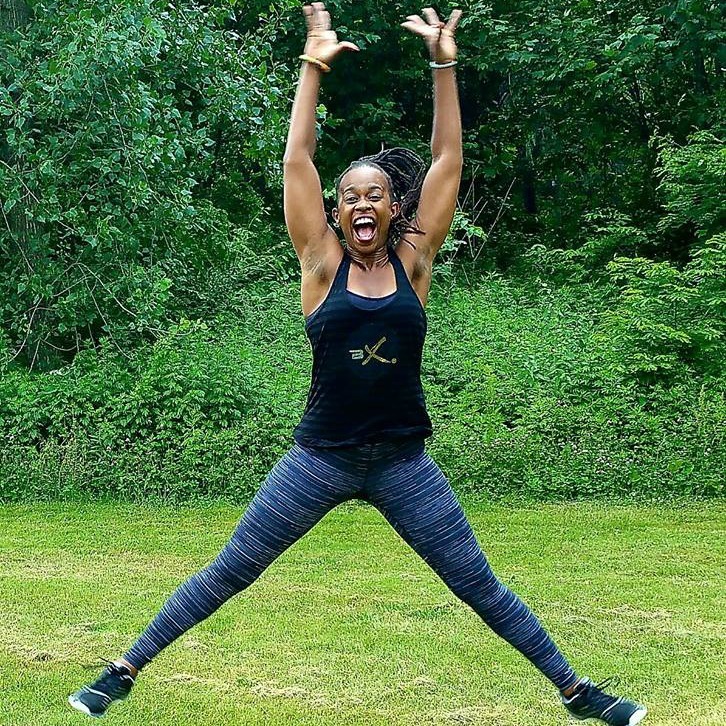 Lateefah has been teaching and motivating others in fitness through the practice of yoga for more than 10 years and dance for more than 15 years. Between working with a multitude of cancer survivors and chemo patients, training and teaching teens and adults of various abilities and disabilities, appearing on “Good Morning, America”, demonstrating fitness moves for famed trainer Erin Oprea and hanging with Robin Roberts, producing sold-out dance extravaganzas at Mexicali Live in Teaneck, NJ, being a featured instructor and studio at LuluLemon Athletica and Athleta, teaching free classes for the Washington Heights and Hackensack community, offering classes for employees at various corporations, and offering nutrition and fitness seminars and workshops to pre- and teen dancers, Lateefah has been motivating people of all ages – especially women – through yoga, dance, dance fitness and Pilates classes, fitness training and creating events that showcase the best in world dance under empowerFit. Her work is not about making people look good; it’s about making them feel good and be their best. She provides the tools that allow people to love themselves and realize they are worth the effort to treat themselves with dignity, respect and pride.